Adjacent to Ontario Mills Mall shopping centre and providing easy access to major motorways, this Ontario, California hotel provides modern on-site facilities along with many free amenities, including wireless internet. 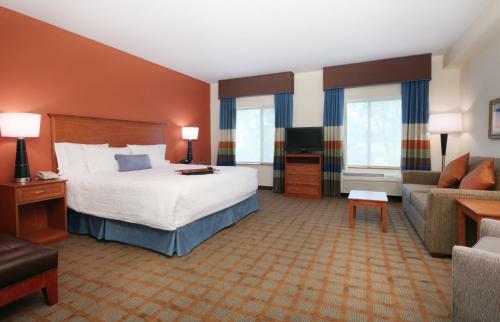 The Hampton Inn and Suites Ontario is conveniently located only a few minutes drive from Ontario International Airport. A number of historic wineries, vineyards and orchards are also nearby. Disneyland Resort along with Hollywood is only a short drive away, and is ideal for a day trip. Guests at the Ontario Hampton Inn and Suites can begin the day with a free hot breakfast after a restful night's sleep on the hotel's signature Cloud Nine beds. Guests can also enjoy the outdoor swimming pool as well as the on-site fitness centre. 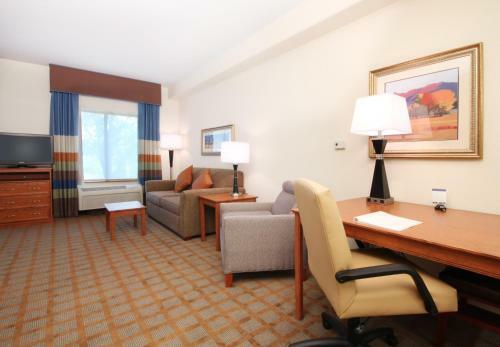 the hotel Hampton Inn & Suites Ontario so we can give you detailed rates for the rooms in the desired period.